Farms throughout the state are busy with work for migrant laborers as the growing and harvesting season ramps up. 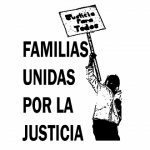 A group of farm workers in the Skagit Valley formed Familias Unidas Por La Jusicia, or Families United for Justice, in 2013 to advocate for better working conditions. Earlier this month, the International Labor Rights Forum presented Families United for Justice with a 2017 Labor Rights Defender Award at a ceremony in Washington DC. In the first segment, KBCS’s Jim Cantú spoke with with the group’s vice President Felimon Pineda, along with members Benito Lopez and Modelo Hernandez Leal, in February about the conditions leading up to their 2013 strike. In the second segment, we talk about on-the-job hazards for farm workers, especially during the winter months.